6010 Root Downhill with 5/32"
In this video we set up a practice plate at a 45 degree angle to mock up that 10 oclock area of a pipe joint. 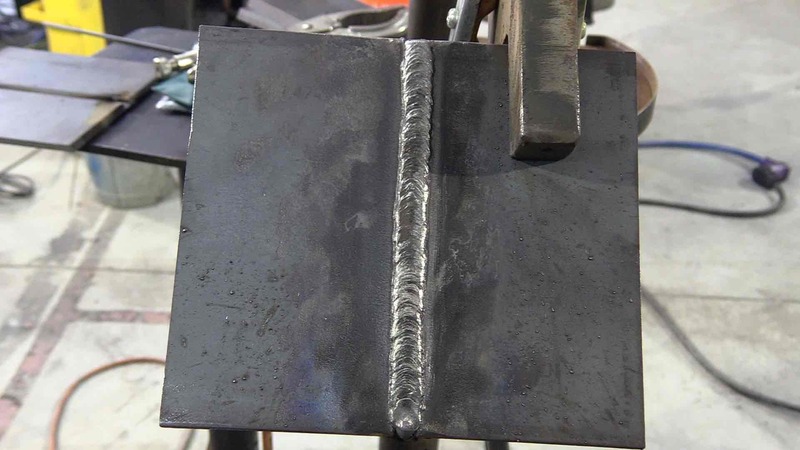 Fill and cover pass were welded using 3/16" 7010 electrodes. Previously we filmed a vertical downhill practice plate welding the root pass with 1/8" 6010 and fill and cap with 5/32". click here to watch the vertical downhill video using 6010 1/8"
first of all, this video is about using practice plates to build the skills need for passing a pipe welding test and also to weld downhill pipe in the field. In the field a 5/32" rod welds farther with one electrode and also is just much more efficient for downhill pipe roots under the API 1104 code. Amperage was set to 125-130 for the root pass. Arc length, rod angle, and pressure make a lot of difference in a downhill 6010 root. With a 5/32" rod for the root pass, it is especially important to hold a tight arc due the the large diameter of the flux making it more difficult than a 1/8" to reach the root. Since this plate is a practice plate in preparation for a downhill pipe, this is a good place to start using the larger diameter electrodes that are used in the filed for downhill pipe welding. 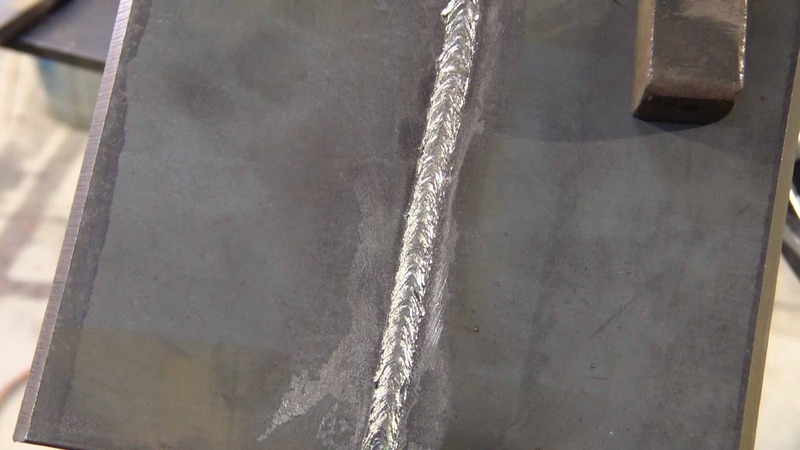 After grinding the root ( this is part of the procedure we were following and is not normally required) The hot pas was welded using 3/16" 7010 at 145-150 amps. Amperage stayed at 145-150 amps for the fill and cap passes. ( except was bumped up to 165 for a small stripper pass to even up the fill before capping. This 45 degree position plate is one of the easier positions so using the larger diameter electrodes is not that difficult. Where it gets harder is on the bottom of the pipe where gravity works against you. Coming soon is an overhead practice plate and after that will come the 12" pipe joint using 5/32" 6010 for the root and 3/16" XX10 electrodes for the fill and cap. The pipe welding video is in the works and will be linked up right here when it is done and ready for viewing.